Gutsy Gals Guide to Good Health(Care): What Might 'Patient Engagement' Mean in Mental Health? 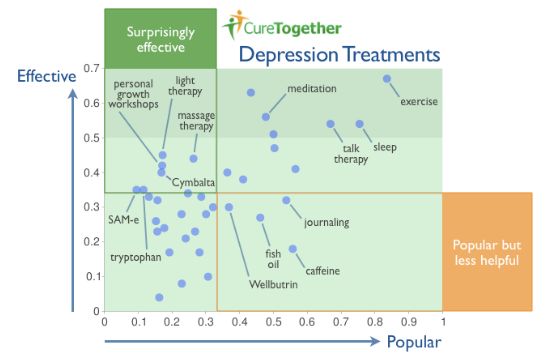 What Might 'Patient Engagement' Mean in Mental Health? The question in the title seems very apt to ask on this "World Mental Health Day." Online communities for consumers and providers of mental health services have been around for quite awhile. But here in this "e-patient" decade, driven by greater access to information -- and greater access to each other -- it feels apt to bring mental health into the conversation about patient empowerment and patient engagement. What might being an 'E-Patient' mean when it comes to mental well-being? To explore this topic, I feel I need to look back before I can look ahead. Permit me to race through a recap of my own two decades involved in e-patient questions. It's been just over twenty years since I became an "e-patient" by using medical information online to help solve my own health problems. I was a budding newspaper columnist and allowed into some corridors where layfolk didn't normally go. In private, I was battling what I was convinced was a nasty neurological mis-diagnosis. After crossing my eyes for hours at a time online, I learned how to tunnel into the raw feed of Medline studies via the cryptic labyrinth that passed for an index. One study at a time, one author on top of the next, one book or journal link after another, and I finally had enough evidence to make a strong case for a more benign diagnosis that eventually proved correct. The entire experience alerted me to the power of the Internet for accessing people and data, as well as the potential of information at a distance to change local minds. All during this process. 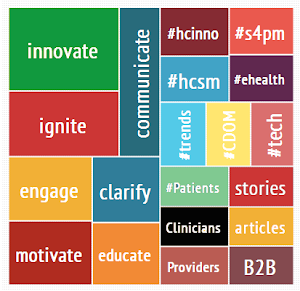 I was learning about the power of online communities on health topics too. Even before the Word Wide Web in the mid-90s, there were quite a few places one could reach with some patience and a modem. CompuServe (the grandaddy) was my main online home, but many other good sources were out there as well, from Prodigy to AOL and Delphi, to The Well, along with many newsgroups on Usenet. The support, information and encouragement received from people in all those places was priceless. My first online encounters with matters mental were, again, on CompuServe. First in line, a new forum called "Go ADD" where hundreds, and later thousands, of parents were seeking to understand why our kids had such struggles in school. In long talks with doctors, teachers, neuroscientists and learning specialists, people from many walks of life explored attention deficits in children and adults. Within a year, I had become one of the forum's co-hosts and later added a weekly 'talk show' interviewing authors and experts live while taking audience questions. Fast forward to the end of that decade, and I was hosting a second CompuServe community with a staff of my own, this one called "Go Mind" where clinicians, scientists, and philosophical types were chewing on neuro news during the 'Decade of the Brain.' I kept both positions for the rest of the 90s, until CompuServe was sold. It was an incredible ten years over which to watch the exploding growth in understanding of mind, brain and behavior alongside explosive growth in online community. All of it taken together was a potent foreshadowing of the partnerships that can form between patients, parents and pros if given enough opportunity to engage at length as virtual colleagues. Fast-forward again to the end of the 'aughts, (which included a total life-location transplant plus some time in local politics) and today I am back in the health lane, lured in by old friends, this time engrossed in the "e-patient" movement where health providers and patients are working again as partners, seeking solutions large and small, from the very specific to the very general. It is deja vu all over again (as the old joke goes), very familiar in some ways and very different in others. 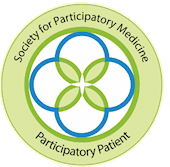 This time around, I have been orbiting around the Society for Participatory Medicine (SPM) (found at participatorymedicine.org and also known as @s4pm on Twitter). The Society offers members a mail list (a list-serve rather like a UseNet newsgroup) and is also hatching an online forum now in beta test. In all these venues, SPM-ers discuss a wide range of inter-connected topics in healthcare, gaining insights, trading tips and making action plans. .. continued in Part Two of this series.